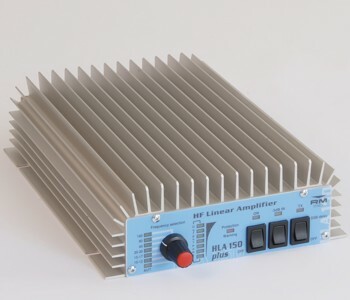 High power linear amplifier for amateur radio use. Auto or manual microprocessor controlled band switching. 6 stage low pass filter. Suitable for all modes. LED indicators for band and output. Auto TX/RX switching with SSB delay switch. High SWR and over temperature protection. Ideal for use with Yaesu FT817-FT897 and ICOM IC703.